The Peak District with its continually changing weather, is blessed with superb countryside and iconic English villages; offering almost unrivalled scope for photographers. But few photographers can lay claim to wining a Royal Photographic Society medal. However, judges were so impressed with Keith & Kate Brown’s ‘Grease Gaskets & Gears’ entry in the 2014 Audio Visual competition, that the Royal Society awarded the couple a prestigious silver medal. 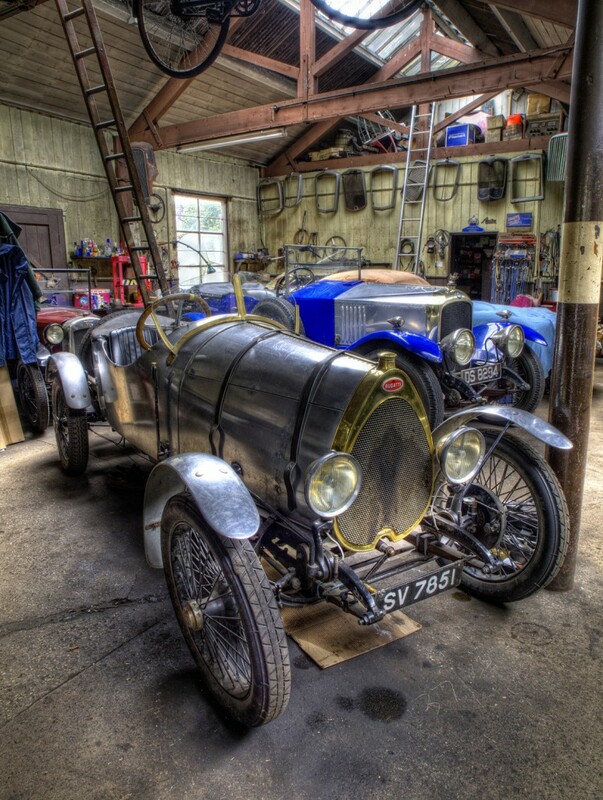 The compilation of competition images were first snapped last year when Keith & Kate, Stephen Elliott, Ray Fowler and others from Hope Valley’s Photographic Society, set up their cameras in a vintage car enthusiast’s garage. Stephen Elliott’s superb photo of a vintage Bugatti car was used in the opening sequence, when Keith & Kate used their skills to turn hundreds of photographs into the silver medal winning audio visual compilation. You have an opportunity to see this award winning presentation, along with a range of Keith & Kate’s prize winning ‘audio visuals’ at St Edmund’s Church, Castleton at 7.30.pm on Friday August 22nd. Tickets can be purchased at the door: £4 – adults, £2 – 18 & under. Even if you only take snapshots on your Smartphone, but have an interest in photography and you’d like to know more about Hope Valley’s friendly photographic society; email ian@ian-ord.co.uk or phone Ian on 01433 621 431. Ian has asked for the following information to be passed onto you all. Connie Brown Many members will have met Connie Brown, who’s Keith’s mother and a resident of Hope for quite a number of years. Connie, who had had a heart of gold and was full of fun, died on Wednesday 9th July. A celebration of Connie’s life will be held at St Peter’s Church, Hope at 1430 on Thursday 31st of July. Connie was a football fan and I understand that Keith & Kate would like all those who attend the celebration of Connie’s life to wear football club coloured ties or bright colours. C&HVPS and Hathersage’s Gala I’d like to thank everyone who attended the gala, or helped Jason & Erica, or donated raffle prizes. Many gala attendees were interested in the images which were displayed in the gazebo, with some expressing interest in joining C&HVPS. Some visitors wanted to buy the images on display! I’d particularly like to thank Jason & Erica. 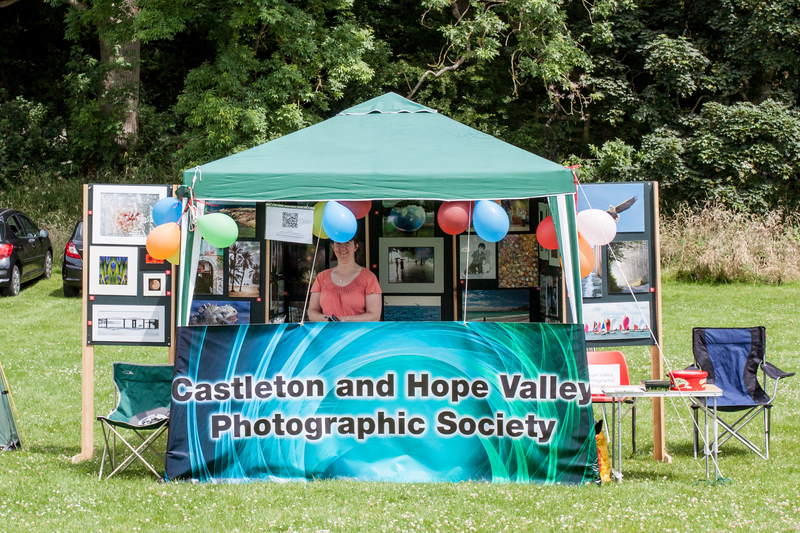 They spent many hours planning our part in Hathersage’s Gala, coming up with the brilliant idea of ordering a large and colourful C&HVPS banner. We’ll be able to use this banner many times in the future, starting with the exhibition of our 2014 competition images at St Edmund’s Church. All of this year’s competition images will be displayed between 16th to 25th August (1400 to 1630) at St Edmund’s Church, Castleton. Don’t forget that Keith & Kate are presenting their AV’s on August 22nd, also at St Edmund’s Church. The presentation starts at 1930 and finishes at 2130. Admission for paid up members of C&HVPS will be free. Why don’t you bring partners and friends to this event? Adults £4, children £2. Ray will be taking bookings and issuing tickets, which can also be bought at our next meeting on August 14th. All being well, Denis Thorpe will present the trophy to Nick Chalkley, who won the monochrome section of this year’s competition. And here are the results of the 2014 Castleton and Hope Valley Photographic Society annual competition as judges by Toni Pioli, with the Denis Thorpe award being judged by Denis Thorpe. Well done to one and all, and thank you to all that put entries in. Just to confirm (and inform those not able to attend last nights meeting) Ian announced at last nights meeting the theme for the 2015 exhibition. Any questions please let me or one of the committee member know.